In this episode I interview Jane Eggers. We talk about differences between German and English and things to watch out for if you are a German native speaker and you want to write English texts. 1. Make sure that you are using definite and indefinite articles correctly (a, an and the). 2. Make sure that you are using the right tenses. 3. 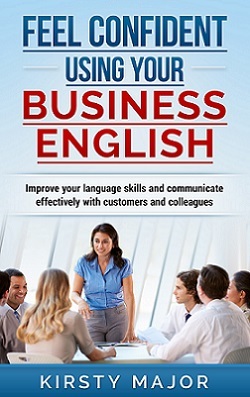 Make sure that you are not capitalising words that should not be capitalised in English. 4. Often, German uses nouns whereas English uses verbs. 5. if you have a lot of sentences in the passive voice, consider whether they would sound better in the active voice. 6. Don’t write extremely long sentences. Doing this often makes it harder for the reader to understand your text.